No, you are not looking for average- you are looking for people who can get your organization to the next level. You’re looking for the best of the best. Which leads me to today’s story: I was listening to ESPN radio and tuned into The Golic and Wingo Show. They were sharing stories about the Baseball Hall of Fame inductees that a reporter had heard from each during his time as a sports reporter. I would like to share 3 of those stories with you today and how they are great analogies for recruiting the best of the best. Vladimir Guerrero: Vladimir is a Dominican born in 1975. He arrived to his first professional baseball try-out on a bicycle. He was wearing baseball shoes that didn’t match and one was so big he had to stuff it with socks so that it wouldn’t slip off. He was on the field for 5 minutes hitting, throwing and catching when the scouts told him he was finished. They signed him to a contract and now he’s in the Baseball Hall of Fame. So, how does this relate to recruiting talent? Trevor Hoffman: Trevor was born in Bellflower, California in 1967. When he tried out to play professional baseball, he did so as a shortstop. However, after a few minutes of taking the infield, somebody told him he was terrible as a fielding shortstop and he was a weak hitter. They said if he was going to make it in the pros he might want to try pitching. He did and now he’s a Hall of Famer. What’s the hiring lesson here? When interviewing people don’t be afraid to push a button that might upset them. It’s going to happen in their sales career anyway so you might as well find out how they are going to react. Will they absorb the challenge or get emotional? Every candidate you interview and eventually hire is going to come with some warts. What you want to know is – are they coachable? Chipper Jones: Chipper was born in 1972 in Deland, Florida and played his entire career with the Atlanta Braves. Chipper was the #1 MLB draft pick in 1990. As the story goes, the Braves were ready to make him an offer but his dad was encouraging Chipper to hold off because he could probably get more money from another team. Chipper told his dad that he wanted to be the #1 draft pick and that the money didn’t matter. He knew that he was going to be successful and that he would earn his ‘big’ money based on his performance rather than what another club thought he was worth today. Again, why is this important when hiring salespeople? You have to be patient. Just because it’s hard to find the right person, doesn’t mean you should hire one that is close. Close enough isn’t good enough (you already have some of those on your team and you don’t need more). Hire people that are willing to bet on themselves. Often recruiting managers, HR, and recruiters shy away from those that don’t exactly fit the pedigree. When interviewing and working the compensation into the hiring contract, be bold enough to challenge the candidate to put some money at risk. If they are as good as they think they are they will make up for it in spades in the long run. There is nothing easy about hiring. If you listen to the stories of these recent inductees you will find that there was nothing easy about getting into the Hall of Fame. Need more help hiring the best of the best? Download our free Recruiting Success Formula document and Interview Questions guide to improve your recruiting process today! Watch Sales Guy Unplugged: Are Your Sales Questions Courageous Enough? Need more information? Download this free SalesTool with the Drill Down Questions. 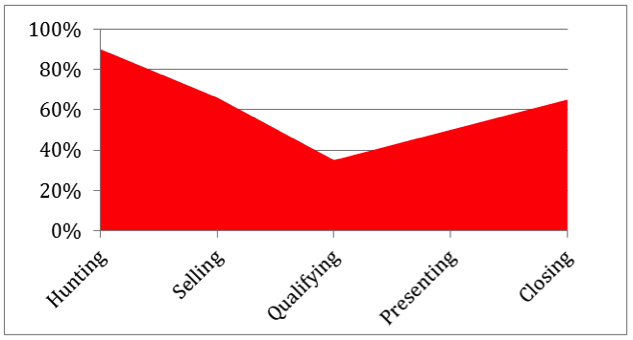 In many cases, the fundamentals of generating sales is the same. As my good friend, Tony Neuman, from AAA Insurance pointed out - activity leads to opportunities which lead to success. Salespeople still want to know how to improve. Regardless of the technology and the sales enablement tools, salespeople recognize that, even today, it is still a people business. With ALL of our clients, the business still depends on people buying from people. The need/presssure to perform continues to mount. Not just because of the pressure on companies to perform, but the pressure on families to meet their own financial goals, objectives and basic requirements. With that in mind, I have taken a few minutes to revisit the original post and update some of the content so that it is relevant in today's sales climate. Today, I'll focus on this: Identifying the activities that you MUST execute on a consistent basis to be successful. These activities MUST primarily be SALES activities or what I call GREEN activities. GREEN means GO, which stands for "GO to the BANK". Activities that lead to getting names - networking, speaking engagements, sponsored seminars, meeting with centers of influence and/or asking for introductions. Surprising as it might be, nothing is changed here. As a matter of fact, the first thing on the list is still close to the top of the list in terms of ROTI (Return on Time Invested) View this YouTube Video with Seth Godin. The only difference is you need to add "social" to the networking. There is no doubt that today's sales professional must be extremely well-connected via the social media if they are going to be found and found to be relevant. An outreach to assess interest or need - This step used to be focused on qualifying the prospect. We still believe that, early in the conversation, you need to have discussions about what their needs are, what the investment perameters are and how will they go about making a decision. But, recently, I read Mark Roberge's book - The Sales Accelleration Formula. In that book, he has many great ideas and methodologies; but one that I believe is KEY to your success is understanding where the buyer (what he calls a persona) is in their buying journey. 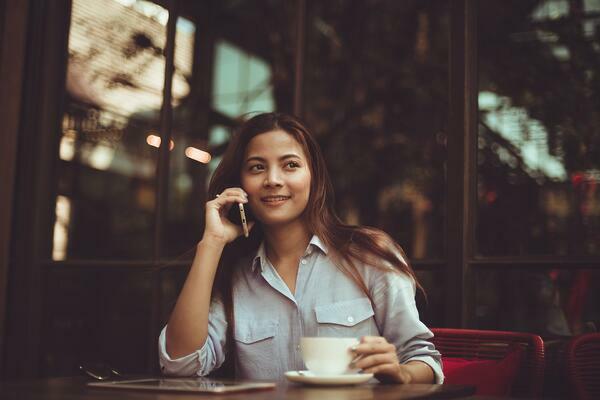 Conversations and meetings to uncover the buyers process - Another significant change in the process - Your first step now is really to help potential buyers uncover if, in fact, they have a problem that needs to be addressed. So often, prospects know they have a problem based on symptoms they see, hear or feel, but they need to know the severity of the problem. In most cases, potential buyers don't know what they don't know. Today's salesperson has to be masterful at asking the right questions the right way in order to help them identify the problem(s). You should not discuss solutions until they have thoroughly clarified the issues. Pitching capabilities early in the buyer's journey is a big mistake. Gathering additional information for your presentation step - Once you have provided some guidance to the prospect and, yes, they have decided that they have a problem that needs to be fixed, your job is to now provide them with options, free trials, demos and comparision presentations. These resources help the buyer in their journey towards making a decision. Presentation of your product/suite of solutions - Not much has changed here except the belief that, by the time you get here, you should have prepared your prospect to make a decision. As we have always taught, get a decision one way or another - yes or no! Be okay with a no. Selling is hard; it always has been and probably will always will be. If you haven't already done, so download our ebook, "Why is Selling So #%&@ Hard?" It will provide you with keen insights into the root causes and challenges of selling and help you develop long-term strategies to keep selling from being so darn hard.